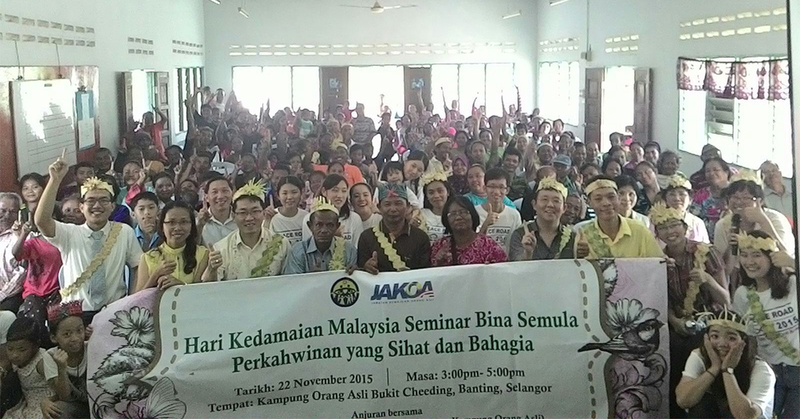 By FFWPU Malaysia: On 22 November 2015, Malaysia had the very first seminar approach to the aborigine’s village (kampung orang asli) at Bukit Cheeding community hall. There were 72 families in the village and most of the villagers attended this seminar with much anticipation especially it is on Sunday. Most of them came in couple of husband and wife, children are brought together as well because they don’t want to leave the children unattended in the house. 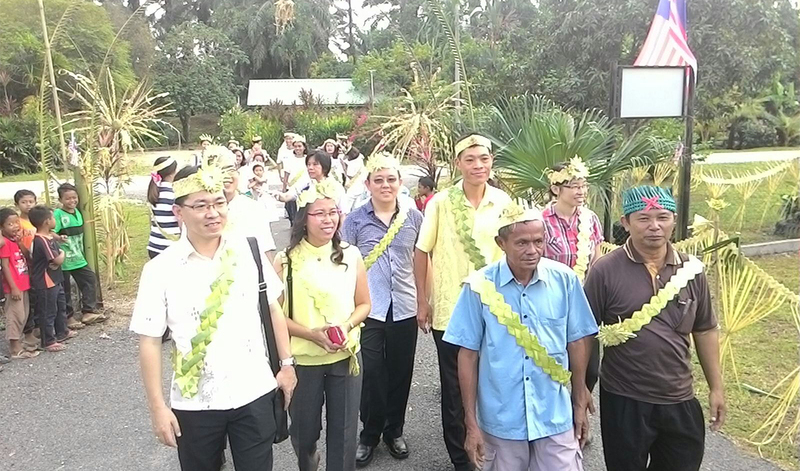 The event started as the village leader and Chairman of JKKKOA, Bukit Cheeding (Committee of Development and Safety Orang Asli), Mr. Bayet B. Pipis and his committee members welcome the guests of honor with their traditional welcoming ceremony. Follow by the welcoming remarks from the chairman, Mr. Bayet. 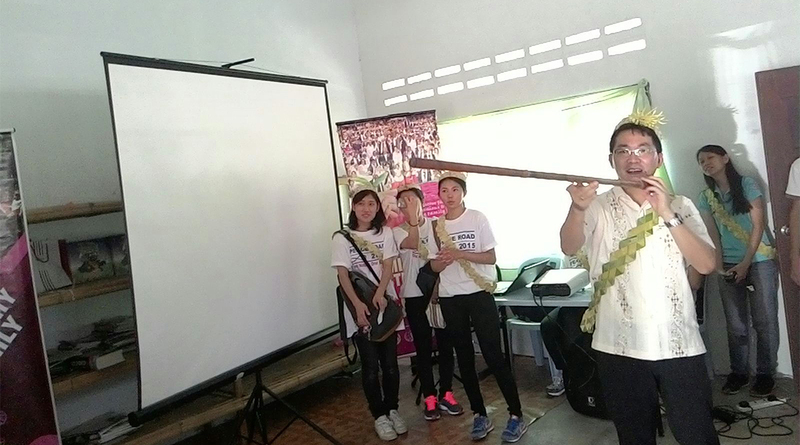 Speaker of the day is Mr. Simon Teo with the topic “Family is the Institution for Love and Peace” in Malay language. 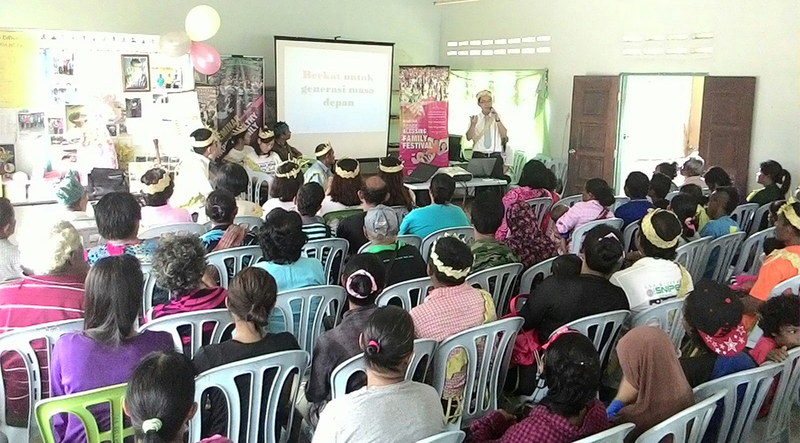 The villagers were encourage to show their affection more to their husband and wife. “Never mention you want a divorce just because you want to win a fight.” They continue to be encourage to show loving example to their children as the children will learn from the parents. This point was strengthen through Mr. Yamada Yutaka, FFWPM Oversea President while the inauguration ceremony. Next the event follow by exciting games. The games were divide into 3 stages and a bonus challenge for the 5 bravest challengers to step forward to perform a “chicken dance”. Next performance have taken a lot of attention that cell phones were all over the crowd to record the beautiful singing and dancing presentation from the Korean and Japanese international volunteers. They have performed a Japanese song with the title “The only one Flower in the World”. Stated that we are unique in this world and do not compare ourselves but need to nourish our own flower to bloom. As for the Korean song is by the title “You were born to be Love” sharing the love of Heavenly Parent to everyone there. The group wrap up their performance with a youthful dance. Coming up next was the anticipated lucky draw. They were prepared by the Blessed couple, who had make all this an event possible with the aborigine. This event was finished perfectly with beautiful commemorative photos and a feast prepared by the Blessed Families in the area.